All Buffalonians know how truly unpredictable the weather can be. The morning could be sunny, tempting you to plan a long walk with your best friend. However, before you know it, the weather turns and a massive rainstorm ruins your plans. Now all you want to do is lay down and watch Netflix, but your pooch has other plans. Dogs, like humans, need daily exercise. In general, a young adult dog needs at least 30 minutes of daily aerobic exercise in addition to mental stimulation to keep them happy and healthy. 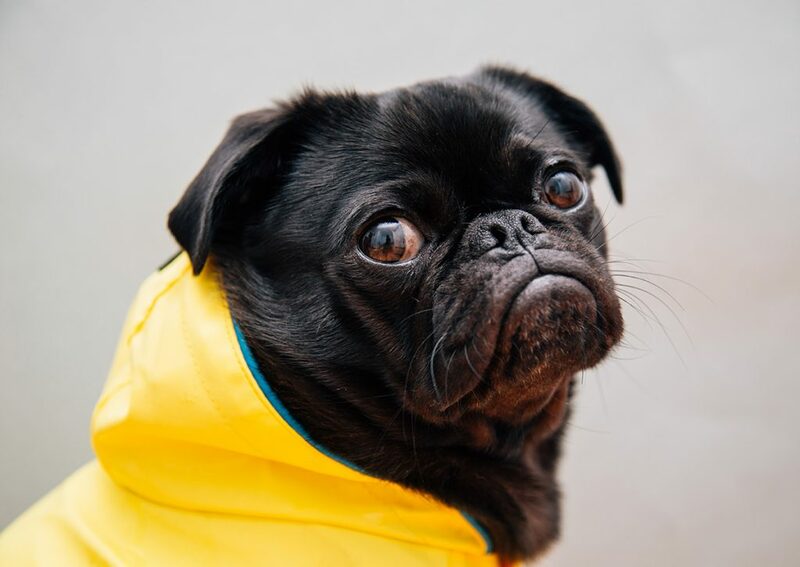 From a simple game of fetch, to brushing up on a few tricks, there are plenty of ways to keep your dog engaged even when it is raining out. Here are some dog-approved activities to help you and your best friend make the most out of a rainy day. Every dog loves treats. “Find the Treats” turns one of their favorite things into an interactive game. Your dog’s nose will be stuck to the ground, sniffing out all of their yummy treats. When first starting out, make it easy by telling your dog to stay while sitting and hiding treats in the room they are in. When done, release your dog and tell them to “find the treats.” More advance treat finders will be able to find treats that are out of sight, in different rooms, or behind furniture. By honing in on their amazing noses, this game provides mental and physical stimulation as your dog runs around trying to find their favorite hidden treats. Who doesn’t love a good game of tug of war? Not only is this one of your dog’s favorite games, but it is also one of yours. In fact, this is one of the most physically and mentally challenging games you can play with your dog. After a few minutes, your dog is sure to be tuckered out, ready for an afternoon snuggle fest. With a tug toy, old t-shirt, towel, or fleece, you can play this game in even the smallest of spaces. Tug of war is also a great way to teach your dog that the game stops if their teeth touches your hand, dispelling biting behaviors. In fact, Tug of war, despite what some people may say, will not make your dog aggressive. On the contrary, dogs who play tug of war with their owners tend to be more obedient and have higher confidence. Are you feeling lazy, but your dog isn’t? Break out the puzzle toys! Toys, like the Kong or DIY varieties using a muffin tin, are perfect for entertaining your dog on rainy days. They’re easy to prepare with some peanut butter or low sodium broth. You can even freeze them overnight and pull them out when it’s time to play. These toys are great to keep your dog busy while you’re working or when you leave in the morning. Other varieties of toys have small openings and let you hide treats in them, which your dog then has to figure out how to get the treat out. Worried about your dog being frustrated? Don’t be! The yummy food will keep them coming back for more! It’s time to brush up on some good ole fashioned trick training. This is a perfect time to brush up on the basics (sit, stay, lay down, come), and also teach some more advanced tricks. By starting with a simpler trick, like a handshake, you can easily transition to more difficult ones, like a high five, with ease! You can also pull out more “flashy” tricks, like teaching them to open the fridge by tying a towel around the handle. The key is to keep these sessions short so your dog can learn the new commands, but not be overwhelmed. It may not be the most active activity, but spending an hour or two gently grooming your dog is a great way to spend quality time together when the weather takes a turn for the worse. By getting your dog used to being pampered, they will have an easier time when it is time to be groomed. Ask your groomer for recommendations concerning brushes, shampoo, and nail trimming. At Suds-N-Hugs, we offer a variety of natural products to keep your dog looking, smelling, and feeling their best!